Hear from a diverse panel of leading experts on new ways to build a collection, with a focus on how to leverage the Internet to find the works you love. How to compliment web-based resources with personalized guidance and insights. 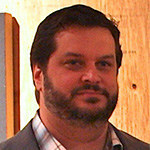 James Cavello is President and co-owner of Westwood Gallery since 1995. He is an award winning Curator, film producer and respected art expert and advisor. He began his art career in the late 1980’s serving as President of the Park Slope Artists Council, a non-profit organization with over 300 artists. He organized exhibitions in alternative spaces, both national and international. 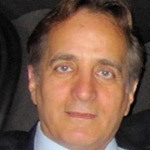 Thereafter, Mr. Cavello was appointed Director of the former Museum of the National Arts Foundation and later established an arts consulting business in SoHo. He advised and assisted corporations with their art collections and also worked with private collectors acquiring secondary market art. After establishing Westwood Gallery with Margarite Almeida, their gallery program expanded from Contemporary artists to include multi-media, photography, secondary market and artist’s estates. Throughout his career, James has been called upon by corporations and foreign governments to curate, advise, and assist with art programs and acquisitions. In the past five years James has acquired several prominent New York artists’ estates focused on the period 1960’s-80’s, with an objective to educate a new generation of collectors. In addition, he serves on the board of several non-profit organizations. 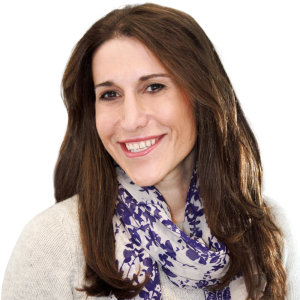 In January 2014, Roxanna joined artnet with a wealth of experience and a proven track record, both within the art world and with Fortune 500 clients. 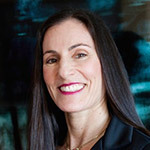 Before helping world-renowned branding agency Baron and Baron optimize their business, Roxanna was a chief operating officer at Christie’s Americas, where she was responsible for client services, auction and gallery operations, logistics, and production. During her tenure, she completed INSEAD’s leadership program, becoming one of the leaders of Christie’s global strategy. She devised new revenue models, and successfully led teams of more than 100 employees. In 2014, her artnet Auctions team has already held 65 sales, sold lover 1,300 lots, and seen the initial launch of the redesigned artnet Auctions website. Educated at Harvard, Williams and the University of California, Dr. Barry T. Malin is a physician specializing in major reconstructive surgery for patients with head and neck cancer. Dr. Malin is also an avid collector of contemporary art with special interests in emerging artists and contemporary African art. He is the founder of Burning in Water – Contemporary Art Trust, which promotes access to important post-war and contemporary artwork with an emphasis on the work of living and particularly emerging artists. Works in the Burning in Water collection are available for loan to museums, educational institutions, and trust supporters. Burning in Water also has a partnership with the non-profit Free Arts NYC, which provides arts education and mentoring programs to under-served children in New York City schools and shelters. Dr. Malin was recently featured in a New York Times article on the on-line art market. His observations regarding contemporary art and the art market are posted on his blog (www.burninginwaterart.tumblr.com), Instagram (instagram.com/burning_in_water_art) and Twitter (twitter.com/@BurninginH20Art). Information on Free Arts NYC’s programs is available at www.freeartsnyc.org.